Pinpoint Laser Therapy | Laser Therapy Available in East York using the BioFlex Laser System! – Laser Therapy Available in East York using the BioFlex Laser System! Are You In Pain? Pinpoint Laser Therapy Can Help! Arthritis, Knee Pain, Sports Injuries, Back Pain? 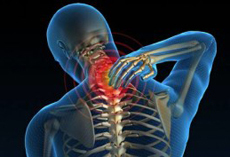 Pinpoint can offer DEEP HEALING and PAIN RELIEF! You’re here because you are in need of pain relief. David Allison and Pinpoint Laser Therapy can help you not only get pain relief, but also the healing you desire. Laser Therapy is technologically advanced natural healing. Healing technology that uses cold non-ionizing laser (painless) that penetrates deep into the body to rejuvenate and heal muscle, nerves, tissue, bone – your body at the cellular level. Pinpoint Laser Therapy uses the BioFlex Laser system, because, quite simply it is the premier laser on the market today. Not only is it Canadian-made and sold internationally it is highly effective on the curative level, which is what is important to you – you want a cure! 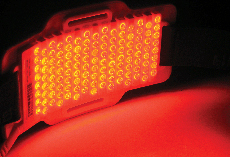 The BioFlex system’s dual light – using red infra rays – provides a penetration depth into the joint and muscle much further than some other laser systems on the market. This makes BioFlex superior in healing. There are many types of laser companies that promote that their unit is the best, and most – if not all lasers – work to achieve the same results…an end to your symptoms, the cause and an end to your pain. While the BioFlex system and Pinpoint Laser Therapy may be new to Beaches/East York, laser technology is not new – it has been around for over 60 years. It really is stable, reliable, sound technology – old technology in fact – but only recently has it been brought to light in the medical world and the results are undeniable. Let Pinpoint Laser Therapy show you how this “new” old technology of laser can bring healing into your life! Yes, depending on what you suffer from! Laser Therapy can be used to treat a broad range of medical conditions, including musculoskeletal problems, ligament/muscle tears, knee disfunction, arthritis, sports injuries, soft tissue injuries. repetitive stress injuries, inflammatory injuries, back problems, wounds, chronic and degenerative conditions, & dermatological problems. Conventional treatments treat the symptoms, like a band-aid. Laser Therapy is able to influence the pathology directly at the cellular level, resulting in therapeutic benefits that are long lasting and address the underlying condition or pathology. This is unlike many other conventional treatments which treat only the symptoms or site of pain, without addressing the source of pain. Don't suffer another minute with joint, back or knee pain! Let's Discuss the right treatment for you!